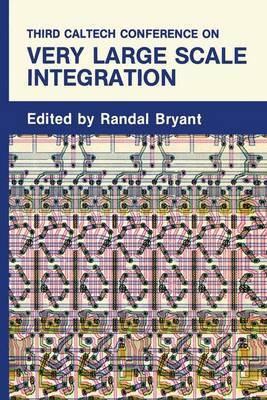 The papers in this book were presented at the Third Caltech Conference on Very Large Scale Integration, held March 21-23, 1983 in Pasadena, California. The conference was organized by the Computer Science Depart- ment, California Institute of Technology, and was partly supported by the Caltech Silicon Structures Project. This conference focused on the role of systematic methodologies, theoretical models, and algorithms in all phases of the design, verification, and testing of very large scale integrated circuits. The need for such disciplines has arisen as a result of the rapid progress of integrated circuit technology over the past 10 years. This progress has been driven largely by the fabrica- tion technology, providing the capability to manufacture very complex elec- tronic systems reliably and at low cost. At this point the capability to manufac- ture very large scale integrated circuits has exceeded our capability to develop new product designs quickly, reliably, and at a reasonable cost. As a result new designs are undertaken only if the production volume will be large enough to amortize high design costs, products first appear on the market well past their announced delivery date, and reference manuals must be amended to document design flaws. Recent research in universities and in private industry has created an emerg- ing science of very large scale integration.